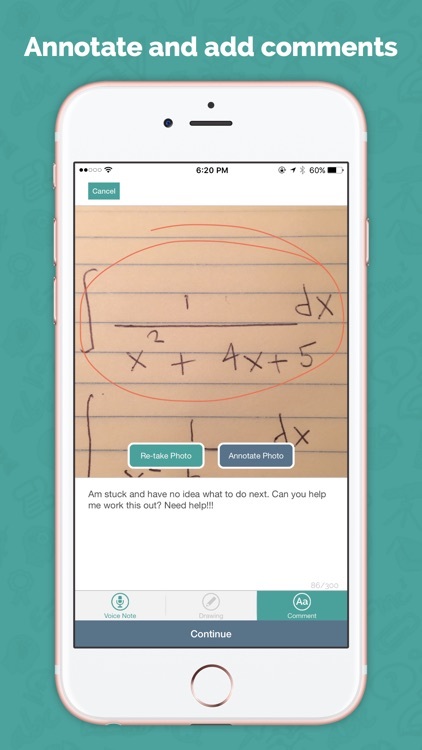 The best on-demand personal tutoring app! 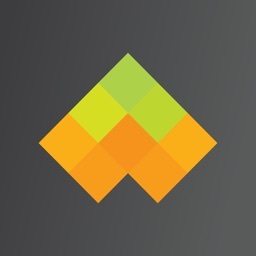 Connect with experts from the world's top universities on demand. 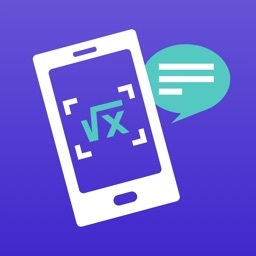 Snap a photo of your homework, and quickly get help with algebra, calculus, geometry, trigonometry, probability, statistics, math, science and more! 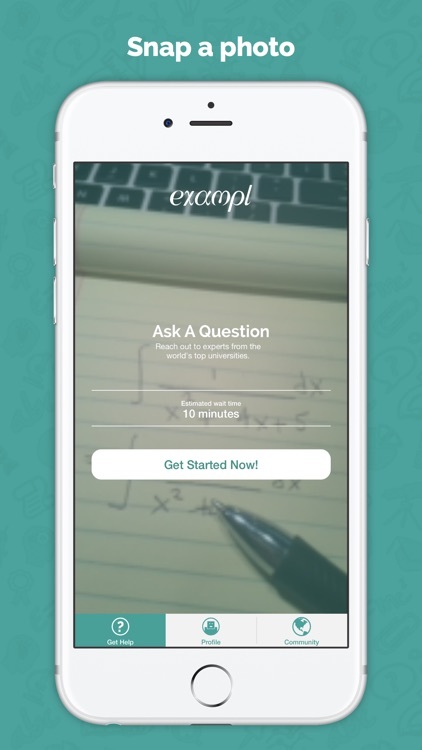 Exampl – Get Unstuck With Homework! 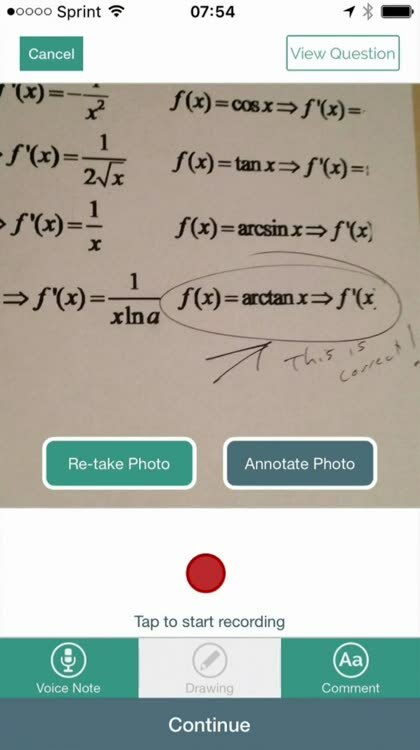 • Simply take a photo of your problem, then annotate it, add comments, and post it, to get help from our certified tutors. 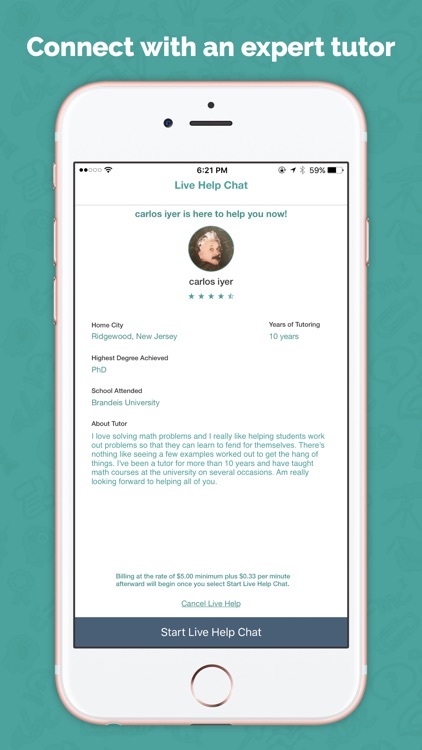 • See your tutor's details before beginning your tutoring session – where they're from, their experience, and more. • You need to pay only for the time the tutor is helping you. 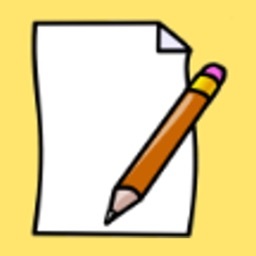 • Eliminate the stress of scheduling time with tutors! 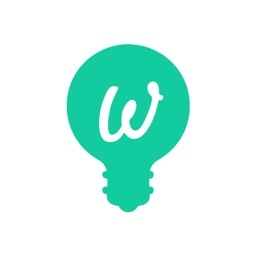 • Access to vetted, top-rated tutors! 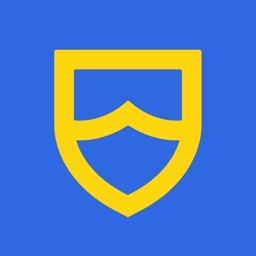 • Perfect for high school, secondary school, college or university students looking to get affordable live help! 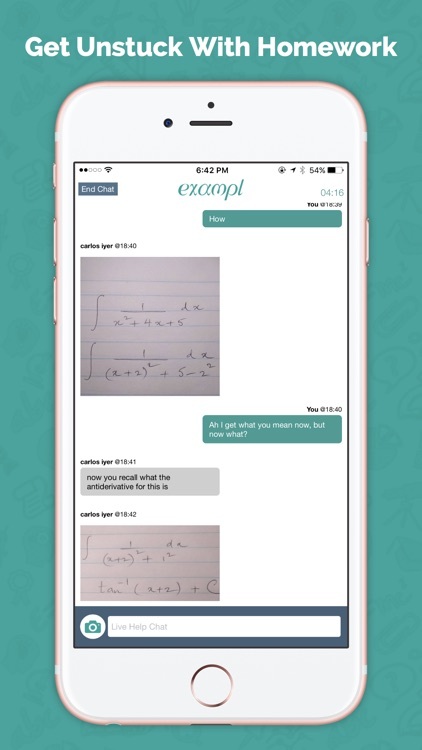 • We cover subjects including algebra, geometry, trigonometry, calculus, integral calculus, graphs, probability, statistics, physics, and more! 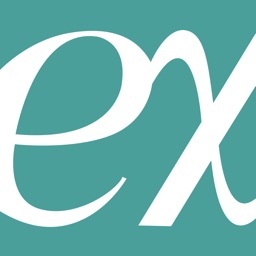 What have students been saying about Exampl? 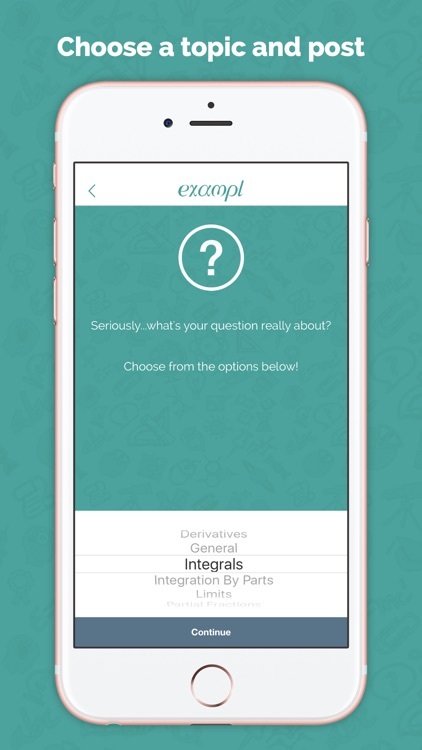 "Fast I really love this app because if how fast I can get an answer for my question :) so 5 star for this app"